Happy Tuesday, dear readers! I hope your week has been off to a great start! Shorter work weeks always seem to strange to me, and I've had to look up the day of the week several times already. I can't be the only one, right? At least I've got a gorgeous nail polish to share with you this evening! Ready? Let's do this! 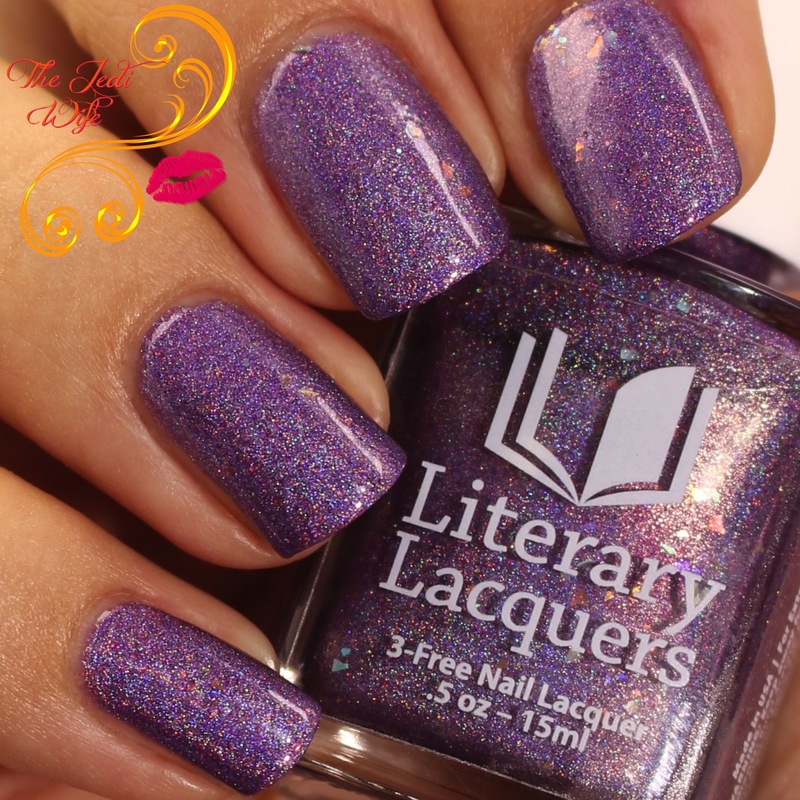 My dear friend Amy of Literary Lacquers celebrated her birthday last month, and she started the institution of a limited edition birthday polish a few years ago. 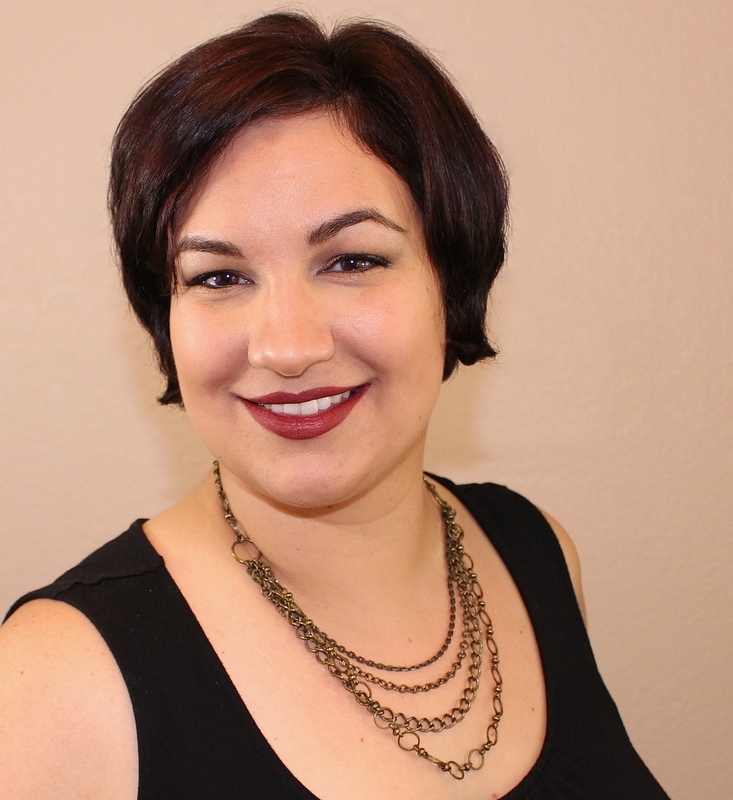 For today's blog post, I have this year's birthday shade to share with you. One of Amy's favorite authors is Kurt Vonnegut, and this year's birthday shade is inspired by a quote from Player Piano. It is a beautiful quote and sentiment, and Amy totally nailed it! 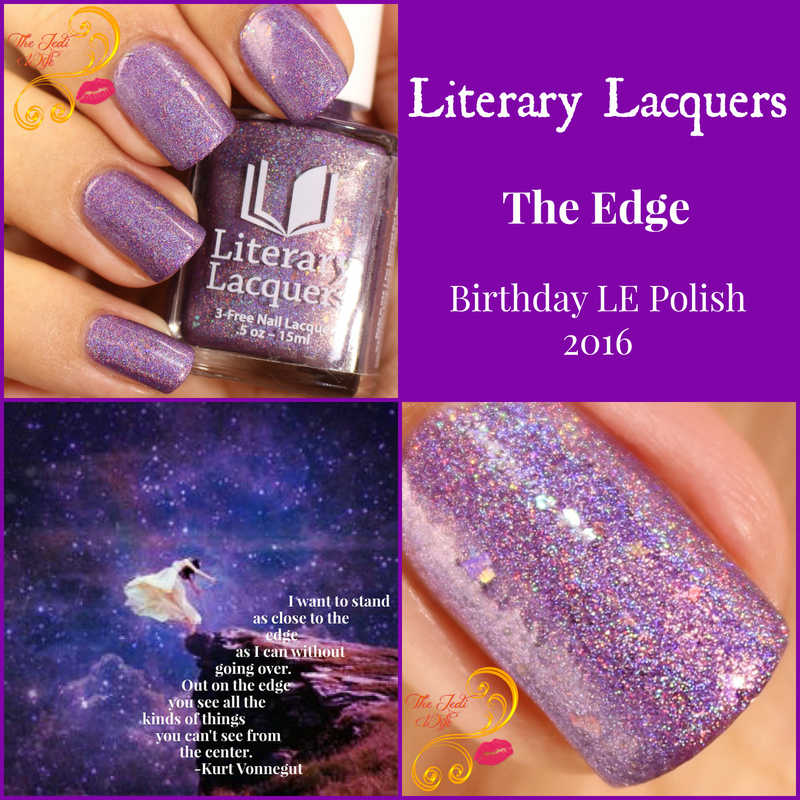 Presenting this year's birthday polish, The Edge! The Edge is a royal purple holographic polish with iridescent flakies that come out to play in lower light. Of course that makes taking photographs and capturing the flakies a little difficult, but you can hopefully see them in these photos, especially on my top fingers where the light reflects of my angled nails. I snapped a few more photos with more exposure and increased lighting so you can see them better. Please note that The Edge is more of the darker purple as shown in the first few photos; these last two lighter photos are just to show you the depth of the flakies better. 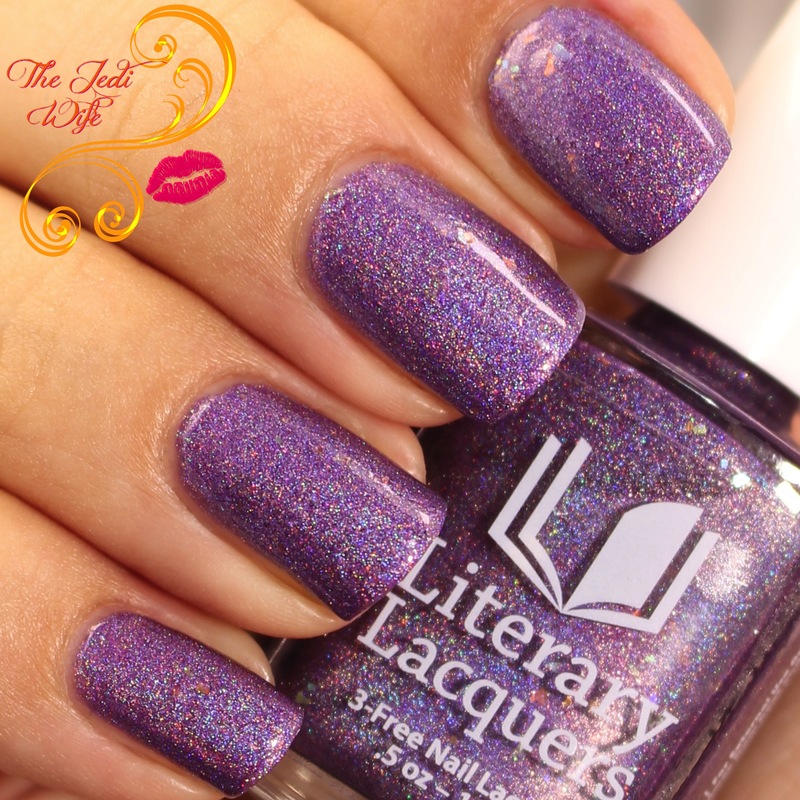 I've been a fan of the Literary Lacquers brand for several years, both for the inspiration, the polish colour designs, and the quality of the formula. 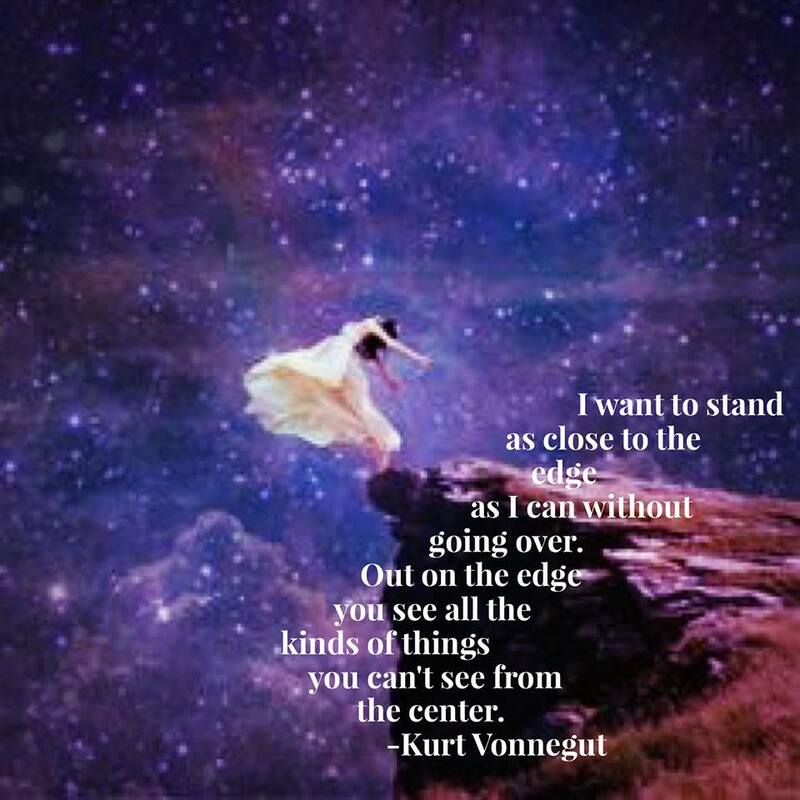 The Edge is no exception, and I found the application to be perfection. Not too thick or thin, I used three thin coats plus top coat for these photos. If you tend to use thicker coats, you may find that two will suffice to cover nail line. The flakies dispersed beautifully over my nails and I did not have to dig around to get any out of the bottle. 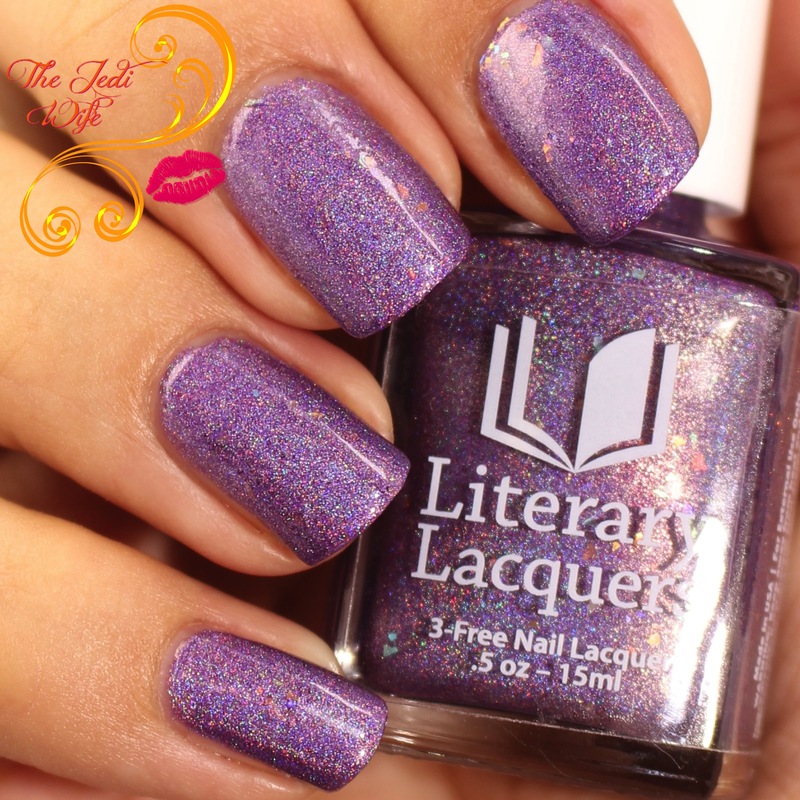 The Edge is only available for purchase from the Literary Lacquers store located here for a limited time. It is currently listed for sale, and it will be available one week only until September 13th. Bottles will also be numbered. This shade is exquisite and a perfect way to celebrate Amy's birthday! The base shade is lovely, and the flakies add a beautiful ethereal element to this polish. You definitely do not want to miss out! Will you be picking up this beautiful purple polish? Do you have any of Amy's older birthday polishes? I'd love to hear from you!